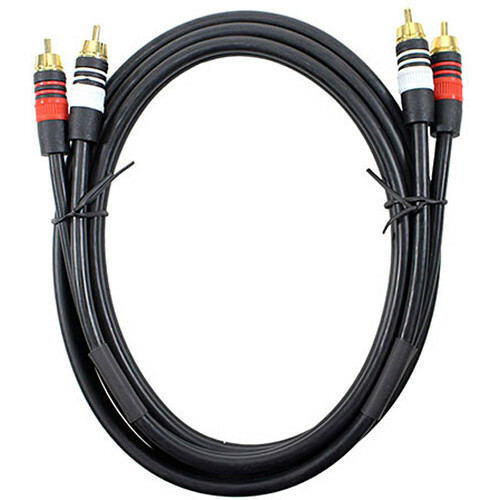 The CS-RAMM-25 Gold Plated RCA M-M Stereo Audio Cable from FSR features flexible black molded strain relief connectors, and gold plated RCA male connectors. This 25 cable has a flexible black jacket and high grade copper shielding. It is manufactured from UL approved cable.